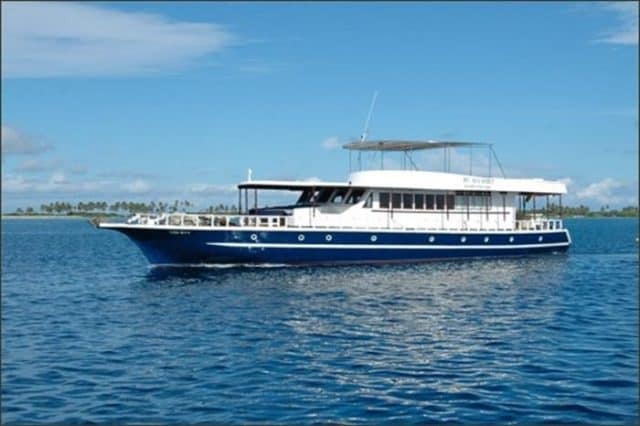 The 26 meters Sea Spirit is a liveaboard dive vessel sailing the Maldives, brought to you by the renowned Blue O Two fleet. Restored in 2002, the Sea Spirit insures a personal experience with 7 crew members and 2 cruise director. 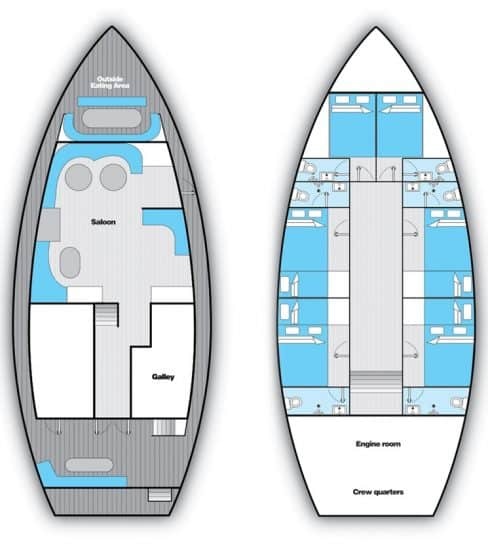 The Sea Spirit can cater to a maximum of 12 guests, welcoming them in 6 comfortable cabins. Moreover, the cabins each have air-conditioning and en-suite bathrooms. 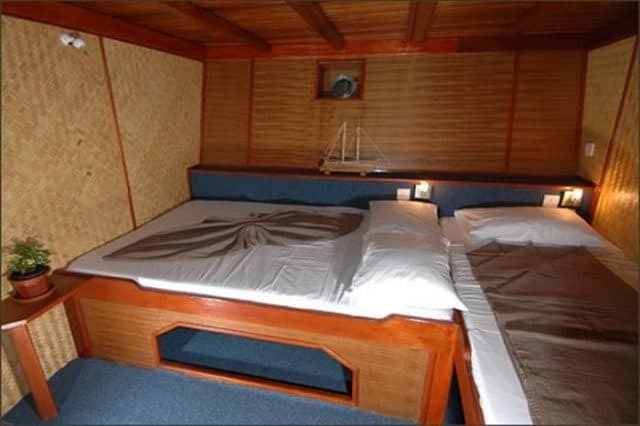 Plus, two of the cabins feature a double-bed while the remaining 4 have twin-beds. Please note that the twin-shared cabins can be converted in double-beds cabin upon request. 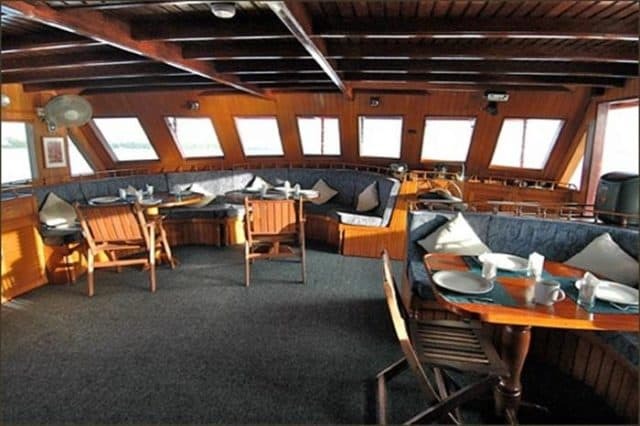 There is a huge dining area located on the main deck, with walls full of windows. Indeed, sit back in the cozy booths, enjoy your freshly prepared meal as well as the view. Moreover, adjacent to this is the lounge, where you’ll find a complete entertainment system and extensive media library. Plus, it is also in the salon that you will find many charging stations for your camera gear. If you head outside, you will find a spacious alfresco eating area as well as a sundeck. These are the perfect spots to enjoy the many shades of blue of the Maldives and feel the sea breeze. The Sea Spirit is the smallest of it’s Maldivian fleet so it’s the perfect occasion to have a more personal experience. Indeed, this also means uncrowded diving and more flexibility. 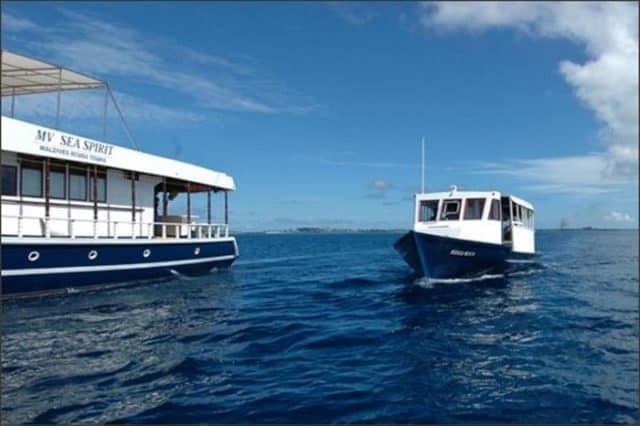 The Blue O Two fleet has larger vessels cruising the Maldives such as the Sachika or the Blue Voyager. As the Sea Spirit is a small and charming boat, it’s important to save all the space for the guests convenience and relaxation. Indeed, with a dhoni, the mother ship has much more space and is noise free! Moreover, the spacious dhoni is convenient to make easy drop of and pick-ups right where the action is. 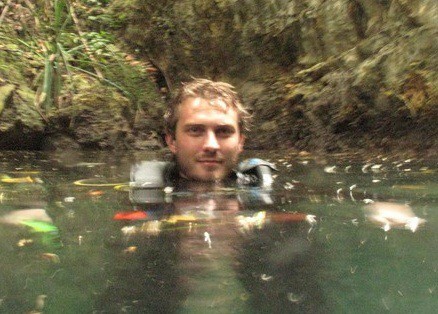 The professional scuba diving crew is always there to assist, help and guide you for a smooth running diving operation! Finally, with itineraries to the best of the Maldives with atolls like the Northern Atolls or Southern Atolls, and even far South or Rasdhoo and much more, you can hardly miss the Manta and the Whale sharks! It’s been a lovely week on the Sea Spirit! The crew was very nice and professional and cruise director clearly was dooing everything in it’s power to get us to the best spots. It’s was rewarding as we had the chance to dive with manta rays and 2 massive whale sharks! Like in a dream, it sure is a moment to remember long time! Otherwise, the food was good, the boat itself is cozy and we were a very fun group! Small and charming vessel for an uncrowded scuba diving cruise to the Maldives, that matches Blue O Two's Sea Spirit vessel!